Amanda Peet, Sarah Silverman and Aubrey Plaza are all decked out in black as they strike a pose on the carpet at the 2019 Vanity Fair Oscar Party at the Wallis Annenberg Center for the Performing Arts on Sunday (February 24) in Beverly Hills, Calif. The ladies were also joined at the big bash by Chloe Sevigny, Natasha Lyonne, Juliette Lewis, Dree Hemingway and Amanda‘s husband David Benioff. FYI: Amanda is wearing Jimmy Choo shoes. Sarah is wearing Moschino by Jeremy Scott suit. Aubrey is wearing Christian Louboutin shoes. Chloe is wearing a Preen bodysuit and skirt with jewelry by Chopard. Natasha is wearing The Blonds and carrying a Jimmy Choo clutch. Dree is wearing a The Row dress, a Tyler Ellis clutch, Roger Vivier pumps, a Djula necklace and Marco Bicego earrings. Chelsea Handler Grabs Dinner with Sarah Silverman in WeHo! 'School of Rock' Cast - Where Are They Now? Vanellope's 'Slaughter Race' Song: Stream & Lyrics - Listen Now! 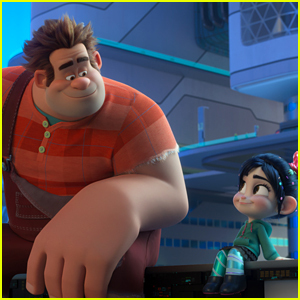 Sarah Silverman & John C. Reilly Bring 'Ralph Breaks the Internet' to Ireland! 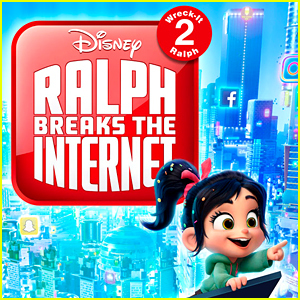 Is There a 'Ralph Breaks the Internet' End Credits Scene?